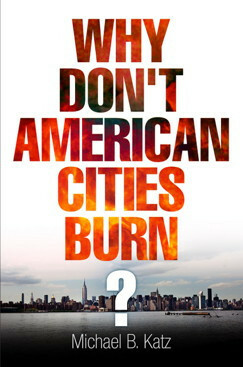 Brilliantly conceived and beautifully written, Why Don't American Cities Burn? is a terrific read that is difficult to put down. Katz considers changes over the past half-century through the lenses of urban geography and population demographics, institutional structures, the public's ossified view of the deserving and undeserving urban poor, and how the zeal for market-based solutions has led towards new poverty technologies that recast the poor as entrepreneurial actors. Most important, Katz introduces his book with a story that humanizes the field of social sciences that — paradoxically — appears at times to have forgotten the people in the sea of quantitative analyses.